My fiancé is a Wall Street analyst living in Manhattan. My colonial home in Connecticut is my version of picket-fence perfect. It is mortgage-free and we have plenty of money in the bank and the ability to invest it wisely. Together, we just bought our “honeymoon palace” in Chappaqua, New York – downwind of the Clintons. Perfect! We are madly in love with each other so what could possibly go wrong? At first I thought I was coming down with a kind of stomach flu. There was an inability to digest foods, loss of appetite and no energy. I lost 10 pounds in less than 2 weeks and developed severe gut pain. For the first time in my life I had difficulty sleeping. An abnormal anxiety crept in. This is difficult to express. I was soon living in a state of fear yet I had no idea why. I became fearful of anything and of nothing. I was frightened with no logical explanation. I could not focus or think clearly. Brain fog became a common state. Simple things, like reading, writing checks or going to the store became a challenge. Though I was confused, I certainly understood that something was not right with me. I went to the hospital emergency room several times and they performed all the appropriate tests. X-rays, blood work, Upper GI series. They did all the tests that they thought they should do. 1. I’ve never before had these symptoms in my entire life. 2. I don’t have any great or even moderate stress in my life. 3. I’m happy, financially secure and in love with a wonderful fiancé. However, the doctors explained that “even happy stress is stress” and “it is sometimes difficult for people to cope”. The emergency room visits were not productive or helpful. Yet, I returned several times – mostly because I didn’t know what else to do or where else to go. Within a three week period my normally healthy weight of 125 pounds drops to 97 pounds. I’m in a severe state. I can’t eat, barely can walk to the bathroom and I have panic attacks, heart palpatiations, I am hyperventilating and crying uncontrollably. After leaving the emergency room, I would go home humiliated, even more frightened and sobbing. How could our advanced, modern medicine be so unable to help me? I’m sure the doctors would help me if they could but my condition was beyond their scope. All the laboratory tests and the expensive technological equipment could not determine anything! The condition progressed and actually worsened from here. I became so afraid that I would kill myself. How bizarre is that? How can anyone be afraid they would kill themselves? Why not reason to yourself that if you are afraid of it, simply don’t do it? It is beyond reason. I asked my girlfriend, Elizabeth, in Manhattan to come and stay with me. I was afraid to be alone for a second. If she so much as went to the bathroom, I’d sit outside the door in the hallway waiting for her (what a great friend to tolerate this). I just had a severe fear of dying, dying alone, or killing myself. It was on my mind constantly. This gave more credence to the doctor’s diagnosis…a once carefree, sane person gone totally bananas. It was no longer mainly my stomach hurting, it was system wide now. I had so much pain with my nervous system. I felt like I was constantly being electrocuted and it never subsided to give me even a little bit of a break. It was continuous, a constant condition of electrocution every second. I was also super-sensitive to sounds. Any sound was excruciatingly painful to hear. To lightly shut a cupboard door or drawer actually hurt. Of course, you do what the doctor says. I did see a psychiatrist. From the first consultation she thought I had Post-Traumatic-Stress Syndrome. This supposedly arose from an incident about one year prior when I witnessed my dog being attacked by a Rottweiler. I didn’t know how to respond to that. At first it didn’t seem to fit, but after mulling it over, I thought perhaps that could be the problem. I had no clear idea of what Post-Traumatic-Stress Syndrome was, but the doctor seemed convinced. I later found out that many doctors were giving this diagnosis in the northeast US as this was so recently post 9/11. Once I tried an antidepressant – actually, I took only half of one. I turned into a vegetable for a full 24 hours. I was conscious and awake but unable to speak, move or anything. It was terrifying. My fiancé was with me that day. He called the doctor absolutely frantic. “She’s lying on the couch, she can’t move, she’s barely cognizant and can barely talk”. I never took another antidepressant after that. About this time my fiancé begins looking at me in a criticizing, judgmental way. Like there’s something wrong with me – mentally. Instead of being there in loving support, he was looking at me like, Oh my God, you might have some severe problems I didn’t know about and I just might not want to risk marriage with you. I can’t have the mother of my kids be a screwed up person like you. What do you mean you have anxiety? I can’t have my wife needing to take antidepressants or Valium! That is just where he was coming from, how he was looking at me now. I was seen as beyond merely flawed and now severely defective. He wanted no part of it. I was humiliated. I was mortified. All I wanted now was to get away from him. I couldn’t handle how he was viewing me, his commentary or his judgments against me. However, in looking back, I understand that this was a lot for anyone to cope with. This is the point at which I called my mom to fly in to take care of me. I had an empty investment house in Jupiter, Florida and my mom helped me move there. She drove me and my two dogs down and arranged for the quick delivery of some rental furniture. We were ready for recovery. She’d nurse me through this bizarre stomach flu and I’d surely get better in a week or two. Those were the plans. On the drive down I began craving meat. After many years of healthy, vegetarian fare only, I told my mom I wanted a cheeseburger. She looked at me like I lost my marbles, but she pulled into a McDonalds. From that day on I ate red meat for breakfast, lunch and dinner for the next three years. I soon was craving eggs, eating nine soft-poached eggs everyday! I later learned that vegetarians who are severely mercury toxic don’t usually recover. They need the certain B vitamins, the sulfur and lecithin in egg yolks, and certain minerals and amino acids especially those in red meats which help to chelate (remove) heavy metals and protect the body’s cells from cellular damage. The body’s intelligence is so amazing. My body knew what it needed to survive and the cravings resulted. My mom remembers spoon feeding me broth because I wasn’t strong enough to hold the spoon to my mouth. I would be encouraged to eat “just one more bite” of banana or cream of wheat. Here I was, so malnourished and now ravenous for steak and eggs. Incredible and bizarre! So, now in Jupiter I am eating meat and eggs, completely bed-ridden, but not watching television. It was too painful and too weird. I could not understand why I couldn’t listen to music anymore or bear to watch TV. I could not tolerate sounds or outside stimulation and this in itself was terrifying. I had no idea why these simple things were irritating and absolutely intolerable to me. Birds chirping were too loud. I couldn’t make sense of it and this is what I want you to grasp. Even an unwanted diagnosis with a name given to it “makes sense”. Even a terminal condition can be understood. There are support groups for people with cancer. But for this condition – nothing less than total isolation. I had difficulty breathing and noise was so bothersome I couldn’t bear to hear my dogs breathing in and out; noise hurt so badly, that I made my mother whisper whenever she spoke to me. My mind was compulsively racing non-stop, I was continuously severely anxiety- ridden and agitated. I felt like I was on the verge of losing it, going completely insane, having an attack of some kind and suddenly dying. For the first time in my life, I became claustrophobic. I was afraid of being in small rooms with the door closed, such as the bathroom. I became afraid of the dark. I knew it made no sense, but I could not stop the fear and panic. It was horrifying and confusing witnessing myself suddenly develop these phobias with no understandable reason. But most of all, I was afraid of being alone for even a second – mostly because I was certain I was dying or going to kill myself and I did not want to die alone. As my condition advanced I couldn’t think straight and I couldn’t speak normally. Often times, my speech was slurred, appearing as if I were very drunk and in mid sentence of saying something, I couldn’t finish because I forgot what I what talking about. I felt drugged up, surreal. At that point I was walking around in an “L” shape, keeling over. I couldn’t stand up straight because my stomach was in so much pain. We began searching for doctors, one after another. Each one looked at me like I was a freak and they definitely did not want to deal with me. After all their tests I would hear “you’re fine physically and here is the number of a psychiatrist.” That invariably ended with a diagnosis of anxiety and depression… “here’s a prescription for an antidepressant”. During our first consultation, one recommended and highly credentialed psychiatrist told me: “You really need to end the relationship with your fiancé, that’s what your problem is”. I could not think straight at this point. My fiancé called me every day, very concerned about me. I missed him terribly and I desperately wanted support from the man I loved. But, he was not able to do that. He was at first, attentive and concerned. He wasn’t a cold person. But he simply didn’t believe in me and was disapproving and critical. Just like the doctors, he thought it was all in my head. From his point of view, he was the victim. It was the first time in my life I ever needed anyone. I cannot begin to express how heartbreaking this was for me. He must have felt that he made it out just in the nick of time. This is the tragic side of mercury madness. So much loss. Great loss and more loss. Loss of your health, loss of friends and loved ones, loss of job and security, loss of sanity, loss of credibility, loss of sense of belonging, loss of hope. Enormous amounts of money gets lost in the process, too. How does this mercury madness get by all these doctors? Why hadn’t one of them looked further for a physical cause? The acceptable medical practice is to test the patient until you eliminate the possibilities. Then, after you’ve ruled out the known diseases, what you are left with is what becomes the diagnosis – that it’s all in your head. My symptoms were classic for mercury toxicity. How could it be that so many doctors never once sought to further investigate? If any of the doctors that I saw had even read just one single medical article about mercury toxicity, they should have been able to immediately identify the potential problem and order the proper tests. When you go to a psychiatrist, why do they not rule out the physical origins? Though, I guess they thought they did in my case. When you are labeled with a mental aberration or defect, it is as if they are saying the problem is out there in the ether with no physical mass to call it “real”; as if it were not there physically present in your body. And it is treated so differently. Financially, I was able to live off my savings, then my retirement funds and eventually I had to sell my investment properties. I spent well over five hundred thousand dollars in out-of-pocket medical expenses alone. I went through another few hundred thousand between travel expenses for me and my mom or my friend, Elizabeth, as I needed them to help take care of me, sometimes staying out of town for weeks at a time undergoing treatment with another specialist. I traveled to see doctors in New York, Massachusets, Portland, Arizona, Central Florida, Chicago, Seattle 18 times (seeing Dr. Klinghardt) and twice to Germany. I had to pay a driving service to drive me to doctor’s offices, as I wasn’t able to drive myself, paying a helper to go to the store, do house cleaning, walk my dogs, etc., as I was unable to, paying my friend to help take care of me at home when my mom was working again or not available. How does the average person with fewer resources manage this? I don’t know. I cannot imagine. I had health insurance, of course. But that would not cover any of the tests or treatments for mercury toxicity. I certainly could not have remained productive on any level with any job. I kept researching and spending enormous amounts of money from doctor to doctor. The trial and error was a huge on-going expense. I now consider it the gift of an elaborate though painful medical education. I bore much pain in my gut, head, nervous system and experienced severe burning and maddening itching on my skin in various locations. Insomnia was severe. I often felt close to killing myself. For mental/emotional help I began to explain my fears of committing suicide to my psychiatrist in Florida. She then warned me about the “Baker Act” that would impel her to lock me up against my will. That was the end of my psychiatric ‘help’. Physically, I survived the first year with some help from an internationally known Chinese doctor. He would fly in from South America to Florida. I would meet him to get his special “homemade tonic”. 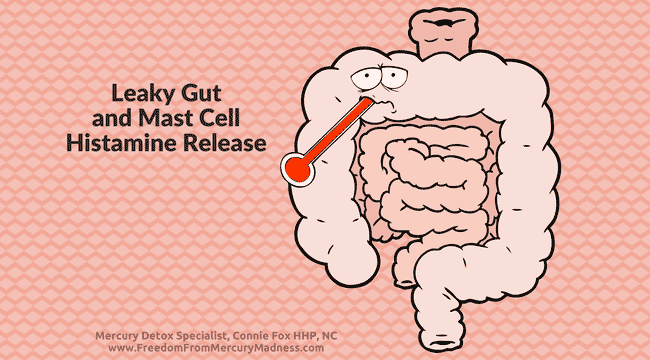 This was the only thing that helped with my gut problems (later diagnosed as Leaky Gut and parasites – having a damaged intestinal lining and dysbiosis from the mercury). Without this to help my gut problem and weight loss, I simply would not have made it. I’ll never be able to answer that. I’ll never be able to understand how I had the strength to endure this physical pain and suffering and worst of all, the mental and nervous system torture for so long. Without experiencing it, no one can understand what it is like. Some of the symptoms caused by mercury toxicity are unlike any other illness. Other illnesses do not cause one to have severe sensitivities to simple, normal sounds, sunlight or normal lighting, electronic magnetic frequencies (EMF’s) (ie, being near a computer, electrical appliance or cell phone), have bizarre, severe fear for no logical reason, terrifying phobias and paranoia, torturous compulsive thinking, severe sensitivity to simple outside stimulation, as well as severe chemical/food/supplement sensitivities, symptoms that make you cry uncontrollably for no apparent reason or induce major anger/rage outbursts, or causes you to question your own sanity, literally making you go mad. No other illnesses are called “the Madhatters Disease” for this reason. I would simply lie in bed every day and night, stare at the ceiling and pray to God. I would pray to make it through five minutes more, then five minutes more. Then sometimes I would go to the opposite, “God please I beg of you to let me go”. And I would return again to the next minute of wanting to live and get through this, then just wanting to die because I couldn’t handle the pain and suffering any longer. No, oh, no-no-no absolutely not, not for a second. If I knew it was going to take week after week for years of hearing, “well, I’m sure you’ll be fine soon” or “there’s nothing more I can do for you”, I simply wouldn’t be here today. I actually wrote down – I still have the calendar – that I was at the end of my rope and I couldn’t live with with the pain anymore. I was three days away from when I planned to kill myself. I would ask my mother to go the store without me. Usually I would go with her, lying down in the back of the SUV as I was afraid to be left alone. This time I planned on staying home, going into my garage, turning on the car and shutting the door. That is exactly how I was going to do it. Prior to this self-imposed deadline, in a last ditch effort I made a final appointment with just one more doctor, this time a chiropractor. My last idea to account for the gut pain was the off chance that I picked up a weird parasite. I did some research and found the Great Smoky Labs in North Carolina was best known for their parasite testing. I called them to recommend a doctor in my area. They gave me several names to pick from. God did the rest. Long story short, much of my history came out. The first thing he said to me was: “Connie, do you know that you have the classic symptoms of mercury toxicity? Have you ever been checked for it”? WOW! They were blown away by how mercury toxic I was. This was the historical moment of my life when I found out what was really wrong with me. I called my fiancé thinking, “Oh my God, this is it! The end of the nightmare. Now I can be treated and fix it, once and for all”. Oh, but that was so not the case. I had no idea what I was about to endure for the next six plus years of treatment. Even after I found the answer (after one year), I was still in severe pain. Oh yes. It got even worse when treatments started. It felt like entering a torture chamber and being left alone to go absolutely mentally insane and have a heart attack and die. All the while, I was never sure I would live through it or not and the uncertainty itself made the thought of dying seem as a blessed release. It was my experience in the beginning that the dosage given by my first environmental medicine doctor was way too much for my level of toxicity and lack of strength. And, the intravenous chelation was way too invasive for way too long. Because of this, the physical pain and mental anguish worsened. The hateful mercury that was trapped inside my body’s cells was now being forced out of my cells. My weakened, damaged organs and nervous system could not effectively handle it. Of course, I didn’t know as much as I do now. This is also why it is so important to be under the care of someone truly qualified, someone who understands the whole process of chelating mercury from the body and has the knowledge and insight to determine the correct dosages, how to prepare and protect the body and which modalities to employ and for how long. Unfortunately, physicians must not be taught this in their medical schools. I spent hours undergoing chelating therapy alongside with cancer patients. Of course I overheard many conversations. Perhaps I couldn’t fully understand their trials because in truth, I considered them blessed. They had only physical pain and debilitation, not mental insanity along with it. They got recognition, compassion, emotional support and understanding from their doctors, friends, family and society. In my case, nobody understood anything about mercury toxicity and looked at me as if I were nothing but a nut case. Except for my mother and for a few months my friend, Elizabeth who helped take care of me, I was completely alone. This isn’t to minimize cancer or the dread of any illness. With health challenges there is always someone who has it better and always someone who has it worse. I used what mind I had left to keep it in perspective as best I could. There are really just three things that kept me around. One just had to be God giving me the strength to endure every day. My dogs, definitely my dogs and my obligation to them kept me anchored. I had to be there to care for them. And, my mother’s presence. Her being there, egging me on hour by hour, day by day. Literally, I would just be so close to ending it so often. My mom was literally my personal coach. She kept me in line and motivated. She kept me from killing myself. What made the treatments for removing mercury so difficult? Immediately after exposure to mercury, it starts leaving the bloodstream and starts storing inside your body’s cells, starting with the brain cells, nervous system, thyroid and pituitary gland, endocrine system, liver and kidneys, other glands and organs, the intestines, muscle and fat cells. That is why you can have such a wide variety of symptoms. Since mercury crosses the blood-brain barrier, mental and nervous system disorders become apparent. As a result, you literally start going insane. This is why it has long been called “the Mad Hatters Disease”. 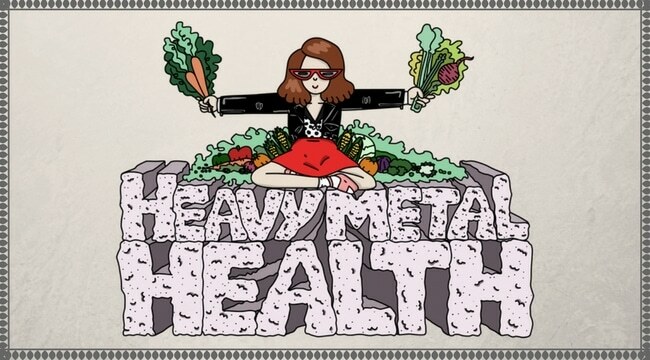 That is what makes mercury toxicity unlike any other disease or condition, even other heavy metals. Now we’ve named the poison, but where did it come from? By asking the right questions, my chiropractor determined the likely sources of poisoning were my mercury amalgam (silver colored) dental fillings and the farm-raised salmon I ate regularly. Being the last straw on the camels back, we established the fact that three weeks prior to the original onset of symptoms, I had a dental procedure called an apicoectomy. In my case the oral surgeon had placed amalgam fillings (which consists of over 50% mercury) in the roots of my tooth, inside the gum. There are hundreds of microscopic capillaries that directly link to other arteries that connect to every location throughout the body via the bloodstream. I did have oral surgery to remove the poisonous mercury amalgam filling from inside my gum. I also had all my amalgam fillings removed, according to a safe schedule as designated by my specially trained and certified dentist. Trust me, it takes a specially trained dentist to safely remove amalgam fillings. It is a delicate procedure in which all dental personnel wore three layers of latex gloves and full haz-mat suits. I was fully covered from head to toe with a special material as well. They used three extremely special and expensive air filters – one was kept an inch from my mouth, another six to twelve inches from my head, and another just above my body, about a foot above the dentist and assistant’s heads. Only a couple fillings were removed at a time as it would have been be a much greater danger to expose me to more mercury during the removal process. How can there be any debate about the safety of amalgam dental fillings? It is a known, uncontested fact that mercury is the second most toxic substance on the planet; a neurotoxin that crosses the blood brain barrier. Yet, they are safe to place one to two inches from the brain?! The amalgam material is delivered into a dentist’s office marked by law as toxic bio-hazardous material. By law, it is labeled as bio-hazardous waste with strict and special regulations for its disposal. How could it possibly be safe to put amalgam fillings into your mouth when it is considered so toxic and dangerous before it’s put it, to take out and to dispose of? The first stepalways, is to remove the contaminating sources. It only makes sense to stop poisoning yourself first – before you start cleaning up the mess. Any attempt to chelate the mercury out of your system while there is still a source of mercury in your system (such as amalgam fillings) will result in “leaching” out even more of the mercury from the amalgam filling and re-circulate it throughout the body. However, there is a horrible catch twenty-two here, especially when someone is severely mercury poisoned. The patient is often exposed to more mercury during the removal process. It’s a dangerous and frightening risk to poison the patient even more when they’ve already reached their body’s “toxin burden level”. During the process of removing the amalgam fillings, particles of mercury get flushed down the sink drain and sometimes dental personnel improperly dispose of removed amalgam fillings down the drain. This has become one of the greatest threats to our water systems today. More and more mercury is also contaminating our atmosphere from the 600 coal burning industrial plants in the United States alone. This gets into our rainwater and contaminates our fresh and ocean waters, our soil, our wildlife, including seafood and plants. After the correct diagnosis, I was referred to an environmental medicine doctor. We reviewed my symptoms and issues. He sent me home with a one hundred milligram capsule of DMSA (which was considered a “very low” dose as per his physician’s book, he said). This is a common drug used to chelate mercury out of the body cells, helping you to rid it from your body through the liver and kidneys. This spreads the mercury throughout the body again. In one sense, it is certainly not safe to keep the mercury stored in the body itself. But when you pull it back out of “storage” from the body’s cells and allow it back into the bloodstream, the symptoms worsen. After years of sheer torture that lasted for weeks to months following each chelation treatment, I eventually learned how to prevent or greatly minimize this effect and I address this issue in my book. Within forty minutes of taking my first DMSA dose, I began hyperventilating, experienced severe heart palpitations and my body was shaking uncontrollably. I went to the emergency room again out of desperation. I told them my condition was resulting from mercury poisoning. They acted confused and asked: “What’s that?” And “How did you get it?” This was from the attending physician in the E.R. and registered nurses as well. Emergency rooms do a great job of monitoring you, watching your vitals and keeping you alive should you actually have a heart attack. But there is nothing they can do to actually stabilize you or make you feel better. My mom took me there several more times but we just sat in the car in the hospital parking lot, waiting it out and determined not go in unless my heart actually stopped. It was too emotionally traumatizing to continue to get nothing but confused, judgmental and disgruntled looks from the doctors and nurses as they were unable to accomplish any actual help or relief for me and therefore, thought it was all in my head. After that first “attack” we called my doctor. My mom told him on the phone what happened after taking the DMSA. It seemed as if it really freaked him out, like he didn’t know what to do or say. He had my mother wait on the phone while he went to look something up in a book, he said. He seemed baffled about the situation. He dropped me as a patient the next time I saw him. He considered me a high risk and said there wasn’t much more he could do for me. I explained how desperate I was for help and asked him to at least refer me to someone. He said, “Just who am I going to refer you to? Who is going to want you as a patient? Seriously, nowadays, you know, you’re such a high risk for suing a doctor because you could very easily die or have permanent nerve damage or something. I can’t refer you to any of my friends.” He said it to me just like that. I left there feeling hopeless and absolutely worthless. Definitely unwanted and rejected. Even a doctor didn’t care enough to even try to help me. Now what? I ended up in a clinic in Arizona for a whole month of treatment. I paid my friend, Elizabeth to take off work to stay with me and help take care of me there. The doctor specialized in mercury detoxification. I received intravenous drugs of DMPS, another drug to chelate mercury. I would get three to four hours of nutritional IV’s every day as I was so nutritionally depleted. This is typical of someone who is mercury toxic. Thus began my full-time detoxification program. I would go to this clinic in the morning, have my IV, a miserable colonic and then go into an infrared sauna to help facilitate the removal of mercury through my skin and then have a lymphatic drainage treatment. Then I was sent home to suffer the consequences all on my own. The chelation process strips your body of minerals. The mercury in itself acts as a magnet to minerals, robbing them from the body’s cells. It is hard for the mercury to leave the body on its own. It doesn’t belong there and the body doesn’t deal with it well. This is why you need a chelator or an agent of some kind to pull the mercury out of the body’s cells. Then, it goes back into the blood stream and your elimination systems (mainly the liver and kidneys) do their best to dispose of it via the urine and feces. The mercury that your liver and kidneys cannot neutralize or successfully dispose of, is then redistributed into your blood steam and re-poisons you all over again – starting with your brain cells and central nervous system. Physically and mentally this is a torturous process, over and over again with each chelating treatment. You can see why it is imperative to understand how you should prepare and protect the body during this process. No offense meant to physicians or health practitioners, but even those who specialize in mercury detoxification do not fully understand how to do this. What results is a variety of symptoms that suddenly begin to intensify approximately 2-4 days after the chelation treatment: depression, anxiety, paranoia, fearfulness, insomnia, gut pain, headaches, inability to eat, sobbing attacks, compulsive thinking, panic attacks, hyper-ventilating, shortness of breath, severe heart palpations, more hyper sensitivity to light, sounds and/or outside stimulation, mental confusion, brain fog, slurred speech, impaired brain function, burning and itching under the skin – so severely you become dangerously suicidal and it can literally take weeks or months for the intensity of these symptoms to begin to gradually subside. Then, it’s time to do it all over again with another chelation treatment. It was a horrifying and merciless process. After each chelation treatment, I was sent home to suffer it out all on my own, not knowing if the treatment would kill me, leave permanent damage (brain, nerve, organ, etc.) or if I would be able to bear the pain and suffering without killing myself. There was absolutely nothing any doctor or hospital could do to help with any of these symptoms. It would usually take about three months before the symptoms would begin to subside. Then, I would have to somehow muster up the strength and courage to go through it all over again. 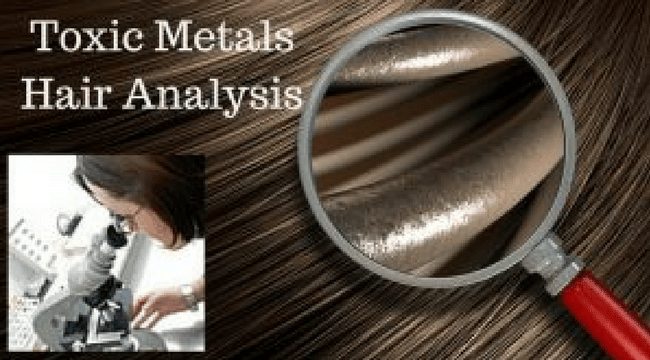 Removing mercury from the body can be extremely complicated. It took me many doctors over several years of direct trial and error experience to figure it out. It is a challenging, delicate balancing act to effectively and mercifully remove mercury without causing more damage to the body. This is scary. Must every mercury toxic person go through this barbaric and torturous process? NO! With the right information and guidance, one does not need to experience what I did. Unfortunately, this information is not so easy to find. Our medical schools still do not teach much about mercury toxicity (if anything) beyond “standard textbook information”, which is extremely limited and incomplete. Some of it is downright wrong. For example: when I first learned that I was mercury toxic and was referred to an environmental medicine physician, he wanted to take a blood test to confirm my mercury levels. I questioned him regarding what I had seen in a book written by Dr. Andrew Hall Cutler, PHD, a leading scientist specializing in the field of mercury toxicity. Dr. Cutler explained how mercury quickly leaves the bloodstream and begins to get stored inside the body’s cells. Therefore, unless the patient has very recently been poisoned (ie, via recently consuming fish) with mercury, little or none will remain in the blood. This results in a “false” negative blood test result. Testing mercury levels via a blood test is usually completely inaccurate. For a more accuarate reading of one’s accumulated mercury levels, one needs to test their stored tissue (cellular) levels of mercury, which is NOT via blood tests. I discuss effective testing methods in my book. My physician looked confused by this and scoffed at it. After all, I was just a patient and no patient could know more about a medical condition than a physician, right? He actually showed me in his physician’s textbook where it said the appropriate and “standard” method for testing mercury is via a blood test. 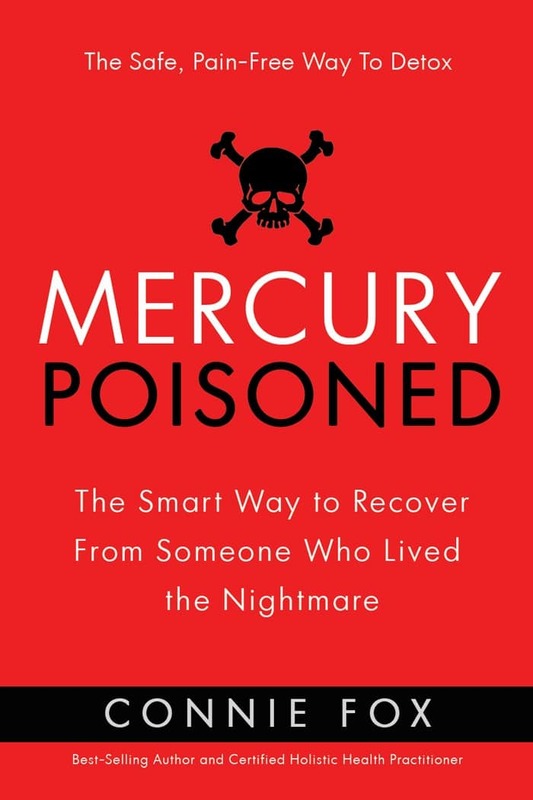 This lack of education and understanding is why I eventually completed my education and became a licensed and board certified Holistic Health Practitioner – so I could legally consult with other mercury poisoned victims and share what I had learned. I cannot guarantee someone will not have any minor discomfort or ailment while chelating mercury out of their body. However, there are things to enhance the proficiency and safety during the chelation process while minimizing any symptoms or damage to the body. It just took me a lot of doctors, time and money to find out. There is much more to the whole plan than just taking a drug to pull out mercury. You need certain specific binders to be present, ready and waiting in the intestines and colon, before the pulled mercury arrives. These binders will attach to the mercury in the intestines and help eliminate it through the feces. Certain binders work better with certain chelators and that can vary from person to person. This can be more accurately determined based on the patient’s specific symptoms, level of toxicity and level of vitality. One needs to be able to decipher whether or not the patient’s kidneys and other organs are able to handle this hardship, if cellular nutrition is developed enough, as well as knowing how to strengthen and protect several different bodily systems prior to and during the chelation process. Otherwise, the toxins go through the intestinal walls just like food does and it goes back into the bloodstream to poison you all over again. I went through this for years. Doctors held onto the “no pain, no gain” attitude. But I am here to tell you there is a better way and you need not experience the suffering I did. I am recorded as the most mercury toxic patient ever to survive, as well as fully recover. The fact that I am alive and did fully recover should give hope to anyone suffering from this horrid condition. When I was initially diagnosed with mercury toxicity and learned that one can become mercury poisoned from vaccinations, fish and amalgam fillings, I mentioned this to some people (friends, my fiancé, nurses, doctors). They thought I was crazy for even suggesting such a thing. They told me, “that’s ridiculous!” and that any doctor that claimed such a thing must be a “quack”! They actually resented me for even suggesting this and abandoned me as a friend, fiancé, patient. Today, it’s far from unheard of. Most everyone now knows that fish is mercury toxic and harmful. Most people are now aware that pharmaceutical companies put mercury (thimerosol) as well as aluminum in vaccinations and flu shots, although I don’t think most people realize just how much. More and more are realizing amalgam fillings can poison you. President Obama recently stated that our #1 environmental threat today is mercury. Knowledge about mercury is now gaining recognition in our country. Because of the scientific studies that clearly demonstrates that amalgam fillings do “leach” mercury vapor and gets stored in the body, causing cellular damage, many other countries have banned the use of amalgam fillings. But in our country, it is actually illegal for dentists to even warn patients about the risk of getting mercury poisoned from amalgam fillings. Many have gotten their license permanently revoked in doing so. Nonetheless, dentists have progressed and many more now do understand. Due to this risk, most dentists do not mention the danger involved with amalgam fillings to their patients and simply choose to no longer use amalgam fillings in their practices. Many more seem to be growing in their anti-amalgam practices… more in the new century than in the 90’s. I give my opinion (based on facts) about how and why our political system (the ADA, EPA and FDA) is responsible for the “intentional cover” up about the dangers involved with amalgam fillings in my book. Thus, being responsible for many deaths, suicides and illnesses. I suspect that’s a large part of why there is such a limited level of learning available in our medical/dental schools today. A word from my mom and how this impacted her life When my daughter told me she wanted to die, that she wished she could only have cancer instead of this [mercury poisoning], actually begging me to kill her and end her suffering, a numbness or a freezing entered my whole life. How do you cope with this? What was I supposed to do here? Try to understand the whole picture of what was going on everywhere else in our lives. My mother had recently died; my sister was in the process of dying from the complications of type 1 diabetes and congestive heart failure. She was just in her fifties and had already surpassed her life expectancy. Then, my father discovered he had stomach cancer. My son, Michael, the other love of my life, is in the Marines and by this time he had been to Bosnia, Kosovo and three times to the Middle East. As an operator in the Marine’s Special Operations Force Reconnaissance, he led a very high risk life. The point being that I carried with me a strong awareness as to the constant risks and dangers in his life – and the great potential losses to my own. I felt that my entire family was being threatened on all fronts; that I was losing everyone who mattered the most. My daughter who was so close to me and my son who is so far away in the middle of a war. For me this was the start of learning to live deeply with uncertainty. The only thing I knew for sure was that if my daughter wasn’t alive, I wouldn’t want to be either. So, I wish to emphasize that not just one person faces such a crisis alone. All of the family members are affected and each one experiences the dynamics in their own way. Great fear and loss becomes familiar. I often struggled to find the “gift” in this situation. It is easy for me to say: ‘eventually you must learn to accept the unacceptable’ and ‘herein lies the peace of God’. Would you have helped her kill herself? Well, I actually got her to promise that if it got so bad that she just couldn’t keep living anymore to let me know first, so that we could go together. On my side this was partially a ploy to defer the time element, to get her to hold on longer. But when I thought of the reality of her actually dying, I realized that in truth I would rather die than live through the death of my daughter. So, yes, if it really came to that, I would prefer to ‘go with her’ than to be left behind. But, it was not my intention. It was always my intention to help her hang on every day. I lived in the Orlando area and we would talk every day. I was “coach mom” for the most part, trying to motivate, telling her to hang on, there is always an answer, always a solution, don’t give up yet. So how do the family and loved ones handle the stress over the long haul? I internalized the fear, went numb and kept a lot of the pain inside and to myself. You can only hold onto that fear for so long. Eventually you have to let go. What a tough lesson. One of the tricks I’ve used in difficult situations is to ask of myself: ‘Well, what is the worst thing that could happen here?’ Then I would face that mentally and know I could get through it somehow. But this event in Connie’s life – I couldn’t really face it mentally and ever think I would be okay with it. I think I felt as desperate as she did because I was determined not to be in a world without her in it. Most parents would say that the worst possible loss you can experience is that of losing a child. I agree. It must feel utterly hopeless. Picture your children as they are growing up. When they come down with the flu or chicken pox, you know you would so much rather have the disease yourself than to see them suffering with it. In this case with Connie, I couldn’t even offer the relief of a cool wash cloth on her forehead or comfort her to lie down while I went to cook the chicken soup. There was absolutely nothing I could do. That was awful. Connie, what is the most important thing you learned from this experience? Compassion, the level and depth of compassion that I have developed for people who are sick. I can better relate now with those first AIDS victims from the 1980’s. They were abandoned and isolated, even from their loved ones. The illness itself was so misunderstood and everyone was so afraid of it, so fearful of exposure. In many ways it is that kind of ignorance that now exists about mercury toxicity and its’ victims. This heightened compassion I feel is not only for those suffering from illness. I find myself more aware of the plight of our country’s prisoners. This also includes military prisoners of war, the homeless and the mentally ill and anyone who suffers from the unkindness of others. It is especially difficult for me to imagine suffering from torture, abandonment and isolation. Somehow, I did grow enough to release much of the judgment I unknowingly held against others. I strongly feel compassion and love and the desire to help others. It seems that we all suffer one way or another, everyone in every culture on this whole planet. Any judgment against others merely gets in the way of what is really important. I notice the ‘hurts’ of others more and want to help relieve it. It is said there is a “gift” from every difficult or unwanted experience. I may never be able to realize any worthiness from my seven year mercury incident. There is no amount of anything that could ever make that episode worth it to me. If I could help a million people from what I endured, that would be pleasing. But, I would never consider it ‘worth it’. Honestly, I am not that altruistic. How was it getting your life back after you recovered? Most people can’t imagine being stuck home for only a week, even when you can watch TV, read a book or talk on the phone as I could not. I spent years in bed speaking only with my mother and some doctors. Once I was well enough to get out, I didn’t even know how to converse with people. It was as if I forgot how to socialize. I needed rehabilitation to join into the world again. I remember asking my mom ‘How am I ever going to date again?’ It took me well over a year to be comfortable and ‘fit in’ to society again. I think it’s much like the tobacco industry. Tobacco and Mercury: Twins of the same parent. I personally feel that the mercury scandal taking place in our country may be as bad or worse than the past health conspiracies in the tobacco industry. The risks from amalgam dental fillings, vaccinations and contaminated fish have been shamefully covered up. I refer you to DAMS (Dental Amalgam Mercury Solutions) non-profit organization (www.amalgam.org) and other educational resources on the “Links” page of my website. A lot of people are walking around with mild health problems such as headaches, anxiety, insomnia, depression, digestive disorders, hormonal deficiencies. And, they go through many years or a lifetime of coping and dealing with these health conditions that gradually become more serious and eventually turn into infertility, muscular sclerosis (MS) or Lou Gehrig’s disease, Parkinson’s Disease, OCD or certain forms of cancer, and so on.Symptoms may begin as minor but eventually shift into more severe health issues and I am guessing that this is responsible for some if not many of the mental and physical illnesses that exist now. 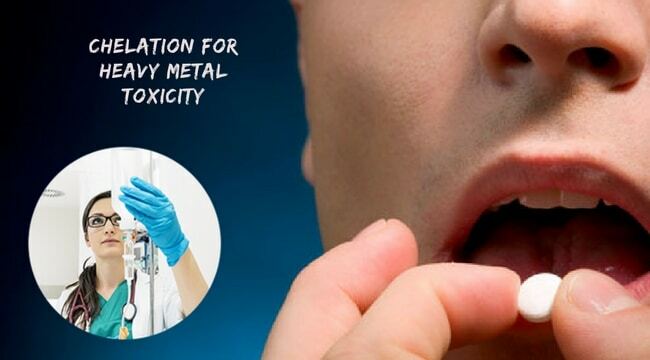 Those who have gradually become more mercury toxic for many years may suddenly become severely symptomatic because they’ve finally reached their “toxin body burden level” or because their amalgam fillings corroded, shifted slightly or cracked because they are older now…and they begin to leak even more methyl mercury vapor – the most toxic form of mercury by 100 times! My point here is that some people continue to have thinking that if they get sick or something is wrong, they should go to the doctor and allow the doctor to tell them just what to do. Understandable. After all, you are paying for their professional opinion. But it is not so good to do this blindly, accepting every suggestion or direction as if it were the gospel truth. And too many people don’t take into consideration that not all doctors (even the most highly credentialed) have the right information or the best information for them. Some are not helpful at all. Many would be better served by taking their own health into their own hands and take full responsibility for their own health choices. I did just that and that is primarily why I am still alive. One is better served to search and research in the right way and this is discussed further in my book. If you are pleased with your physician you are ahead of many. It is important to get several opinions. A simple cold is one thing. When chronic conditions or continued disorders crop up, it is important to investigate and possibly consult others in the medical community as well as your primary care giver. And if two opinions are good, consider that three or more may be better. I went to a lot of doctors (over 70 within 7 years). Some couldn’t help me at all and most made me worse. Then one doctor made all the difference in my life. Because of two doctors in particular, I am alive today (Dr. Gerard Elmore, who accurately diagnosed me and Dr. Dietrich Klinghardt, who successfully treated me). This may be an extreme example but it is a good one. Pay attention to the advice you are given. Think about it yourself and get those additional opinions. If you are not getting better, go elsewhere and continue going elsewhere until the problem is resolved. I’d like to point out that when dealing with any crucial health issue, get seriously honest with yourself about just how far you are willing to consciously participate in your recovery. Our American culture in particular tends to think in terms that it is our doctor’s job to make us well again. We would all like to walk into our doctor’s office, dump the problem in his lap and hope that the drug companies have come up with an all-new green pleasure pill that will fix everything for us. And if that cannot happen, perhaps some surgery to ‘cut out the problem parts’. It is my belief there is no doctor that can ever heal you. All healing comes from within and what a miracle that is. Without even thinking about it, our bodies perform all sorts of wonders to deal with obstacles that are presented to it every day. A minor cut on your skin begins a chain of events of startling proportion. Clotting factors are quickly produced and your white blood cells begin fighting infection with precision and efficacy greater than the most advanced space engineer could imagine. Perhaps best healing takes place when we assist our bodies to go in the right direction, enabling our bodies to heal themselves. After my recovery, I went on to become a licensed and board certified Drugless Practitioner and Holistic Health Practitioner because I am in alignment with that approach. It served me well. When it comes to being mercury toxic, there is no drug or surgery that can fix you. I’ll be the first to say I wish there was! Whatever approach works best for you, know that an open mind can be your best friend. If I were not willing to consider I may be mercury poisoned, I would not be here today. Well, I’m not sure even how to begin with this topic – feeling like I’m damaged goods. For quite a while after my illness I guess there’s no other way to put it. I felt like I was damaged goods. For quite a while I didn’t know if I would ever be healthy enough to have children. I was devastated and emotionally traumatized. Afterward I found my perceptions greatly changed. Things that used to upset me or cause worry, pretty much evaporated. What is important to you pretty much changes after experiencing any great loss. You tend not to get so wrapped up in the little things. I definitely have a greater appreciation for many simple things I never thought about before. Independence means a lot to me; being able to walk with my dogs, cook a meal. And shopping… well, I always did love that! If you or someone you love has experienced any symptoms from mercury toxicity, even in milder form, I am here now to offer you hope. I believe I may have been one of the most toxic victims of mercury poisoning (DMPS provoked 6 hour urine collection mercury test was 140). Since I survived and without lasting damage, I am living proof that you can, too. Through the processes of mercury detoxification I learned (the hard way), what works and what doesn’t and why. I found out why doctors are rarely able to identify this condition much less treat it properly. Among those doctors who did treat my condition; much was trial and error. Some protocols should never have been used. In my country I believe that most people are not aware just how toxic they can become from these sources of exposure and just how harmful mercury is. And, as my story reveals, too many doctors don’t recognize it or treat it appropriately when they do. My best friend, Elizabeth (who sometimes helped take care of me during my treatment), is the owner of PowerlunchProduction.com, a video production company. Inspired by my seven year ordeal, she produced a 90 minute HD docu-film for the purpose of informing/educating the public about the dangers of mercury exposure and how to prevent it. Please visit: www.MercuryUndercover.com.